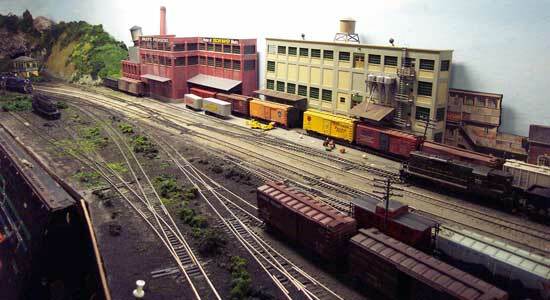 Here's an overview of the Blue Coal breaker in Ashley, PA. On the left are the thawing sheds, and off to the right is the coal storage yard. A closer view of the Blue Coal breaker. This facility takes larger size chunks of coal, breaks them up into smaller pieces, sorts them and loads them back into waiting hoppers for final delivery. The meat packing plant and warehouse at the eastern end of Wilkes-Barre. 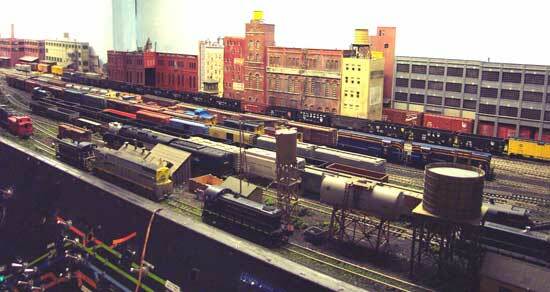 The western end of Wilkes-Barre, overlooking the freight yard. 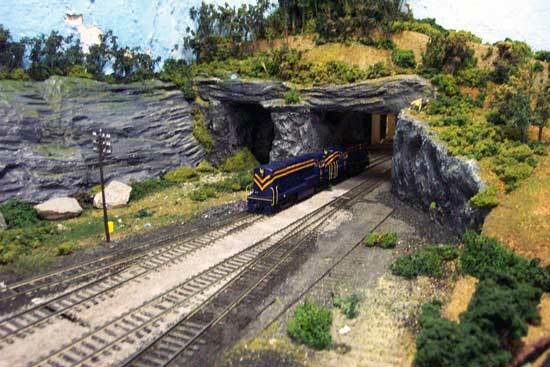 The eastern entrance to the tunnels at NayAug, PA. The left tunnel portal has been abandoned.